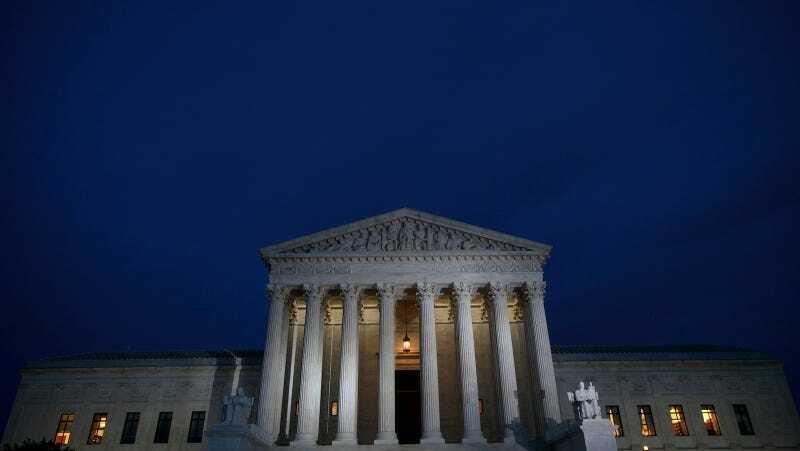 On Monday, the Supreme Court announced that it will hear a case that challenges partisan gerrymandering, and whether the districting that generally aids Republican candidates is unconstitutional. The New York Times reports that the challengers in the case, Gill v. Whitford, allege that they have found a way to distinguish partisanship when districts are drawn, versus the other natural needs in districting decisions. In the past, cases that seek to end partisan gerrymandering have failed, because the justices were unable to concur on what the standard for constitutional districting was. A different kind of gerrymandering was addressed by the Supreme Court in May, when it was ruled that lines drawn in North Carolina along racial demographics were unconstitutional. CNN reports that the court granted a request from Wisconsin to freeze maps in the state as they currently are until they hear the case next term. Justice Ruth Bader Ginsburg, Stephen G. Breyer, Sonia Sotomayor and Elena Kagan dissented in this decision.